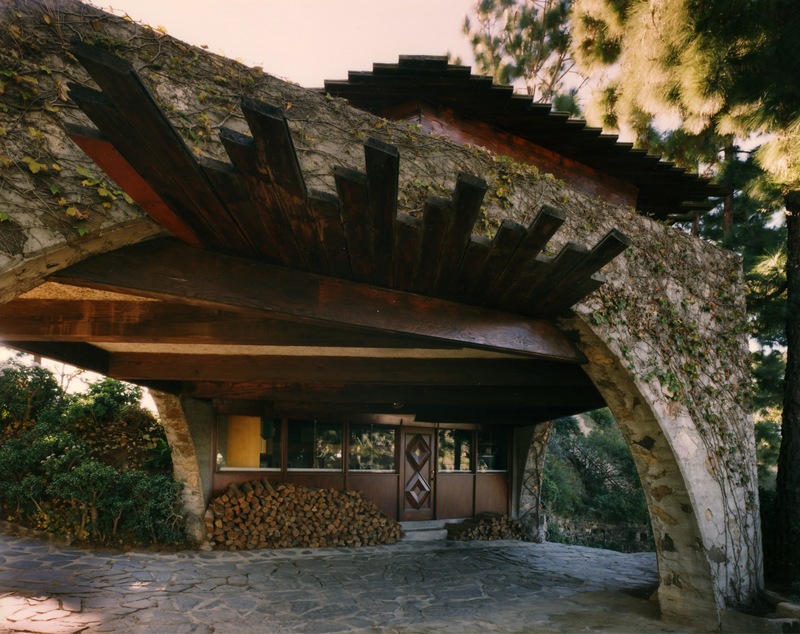 For sale for the first time in more than two decades, the eye-catching De Jonghe Residence was designed by the underrated Lloyd Wright, Jr., for Dutch actor Daniel De Jonghe in 1959. 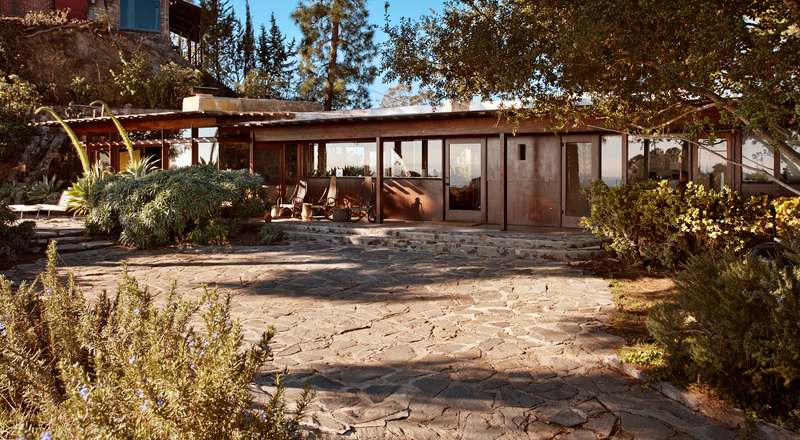 A pavilion of stone, concrete, wood and glass, the organic home rises from a ridgetop in the Hollywood Hills West and draws comparisons to FLW Sr.’s Taliesin West. 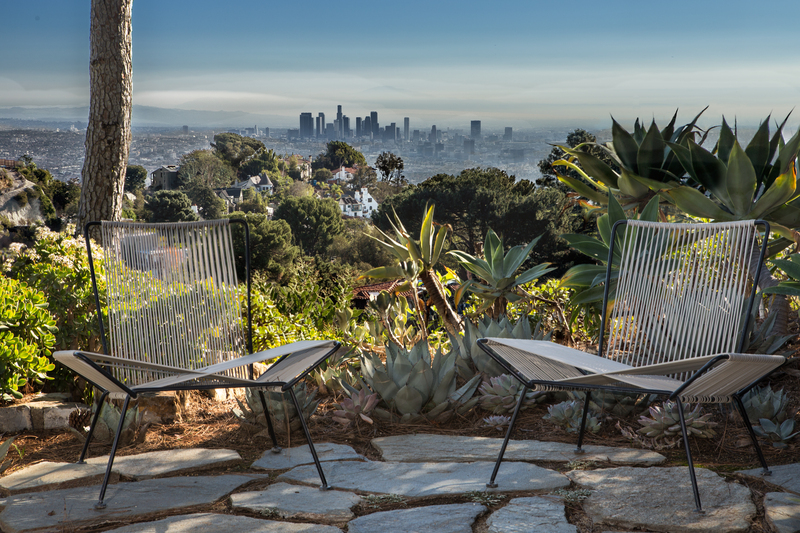 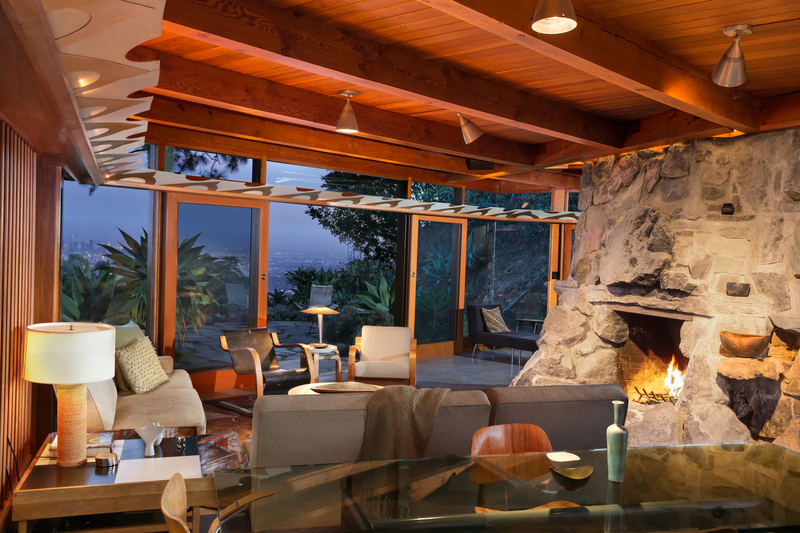 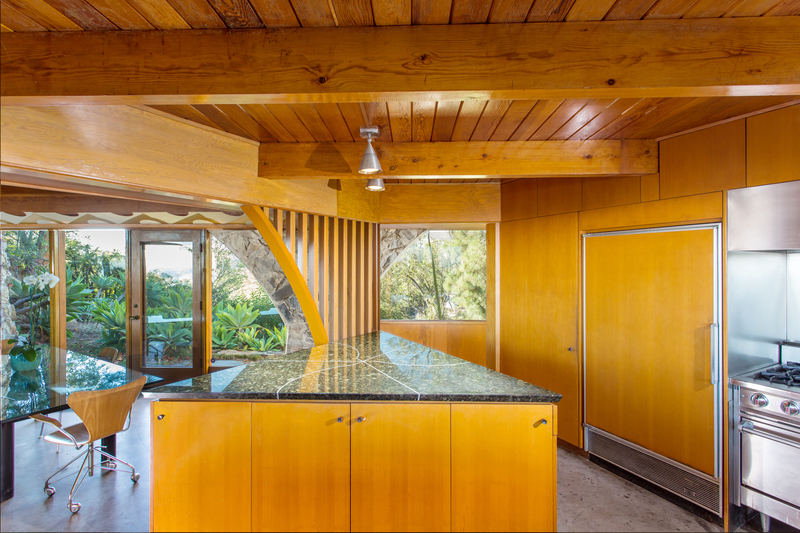 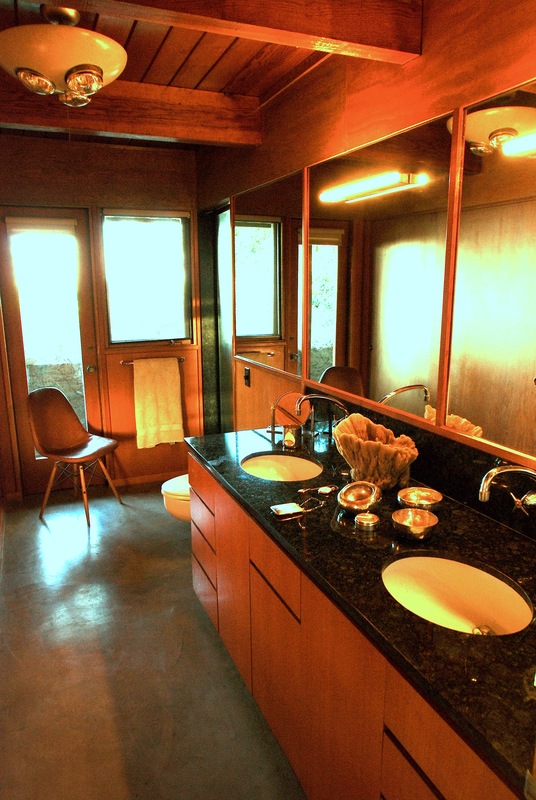 Per its listing, the 2,100-square-foot residence has been “enhanced” by architect/owner John Powell, whose firm has restored homes by Richard Neutra, Thornton Abell, Richard Dorman, and Paul László. 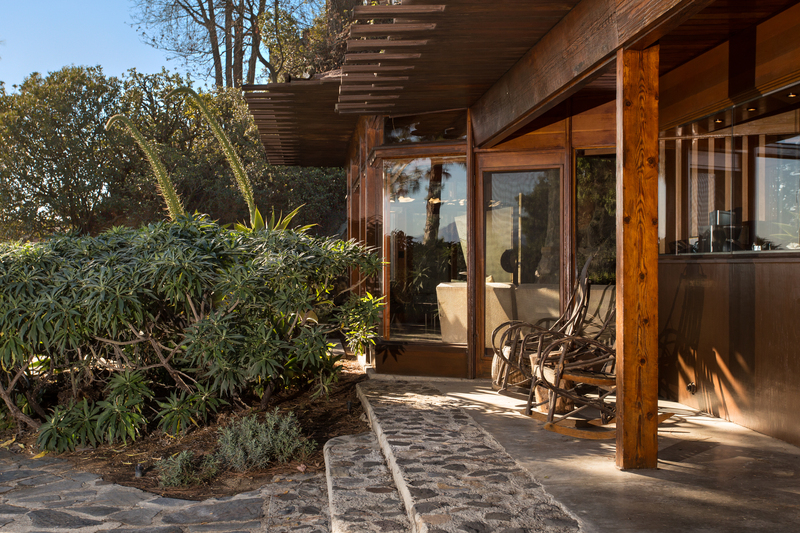 Along with two bedrooms, two baths, and a “private separate office,” the house has extensive decks and patios from which to take in dramatic panoramic views. 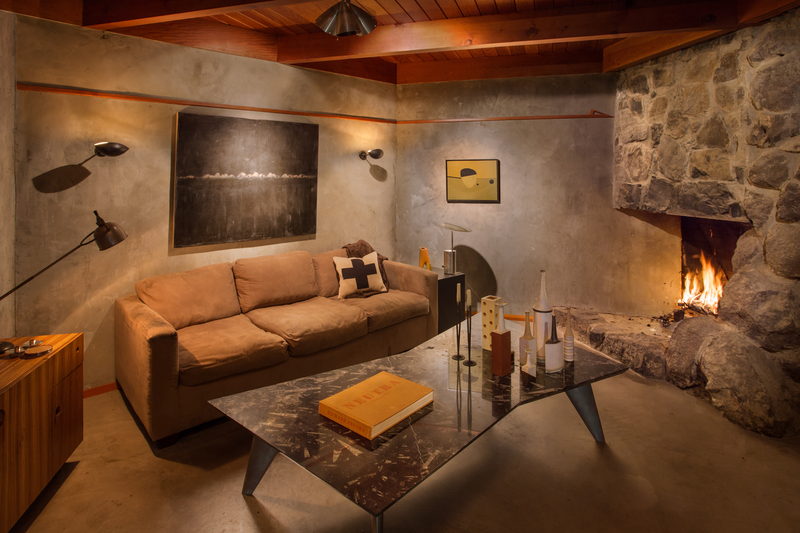 Features include concrete slab floors, two stone fireplaces, walls of glass, built-in furniture and shelving, and central heat and air conditioning. 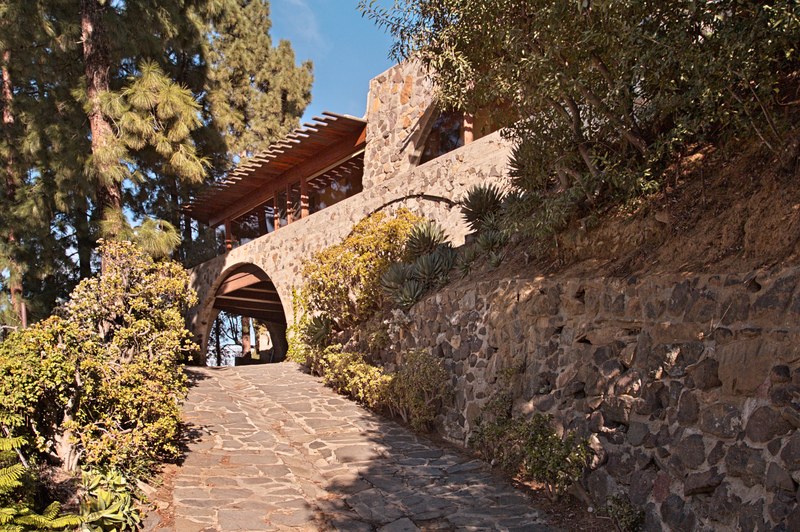 On a 10,889-square-foot lot, it’s listed with an asking price of $2.495 million.